Slice of Life Force is one of my all time favorites! This was one of the first paintings I did using an inanimate figurine in a situation creating action. 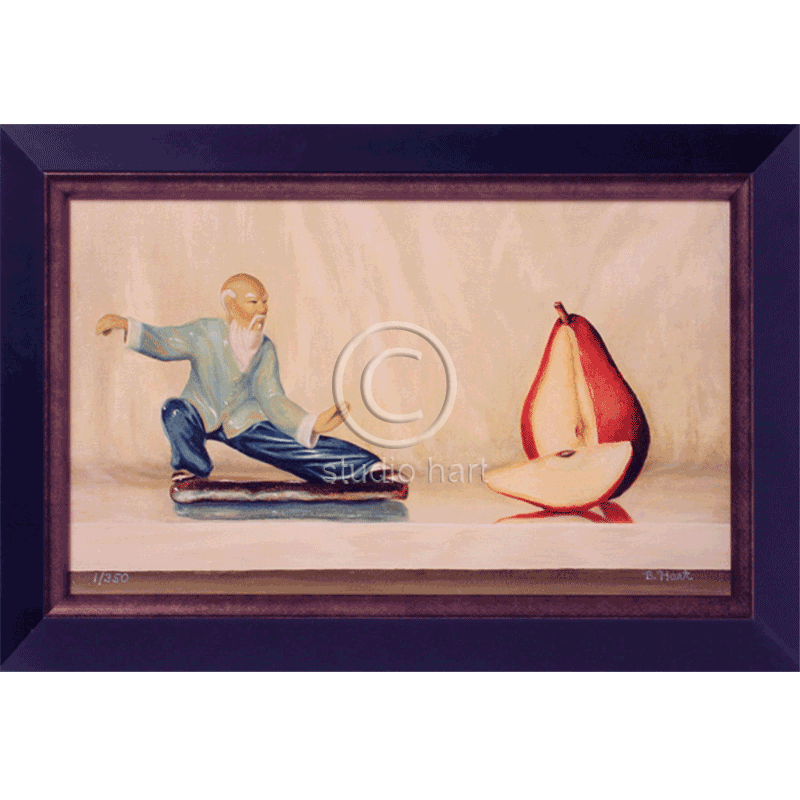 I can imagine how the Tai Chi, martial arts figure could slice through the red pear using only his life force. Great companion piece with Tea Time. Size: Canvas 9×12″. Framed 11×14″.